Hidden Treasure is a service that finds and brings you small cap stocks with huge growth potential - to the tune of hundreds to even thousands of per cent returns. The service has beat the Sensex almost 3X in the decade since its inception. What was our 'big picture' idea behind starting this service dedicated exclusively for picking small cap stocks? We saw that the small cap universe was a fairly under-researched space. Acting in this space without enough information has burnt many a finger. At the same time, it would not be prudent to avoid this space altogether as it offers the potential for multibagger returns. All one needs access to is a sound research process and information to analyze the companies in this space. We have a specialized team dedicated to researching high potential small cap stocks. What the team essentially looks for are companies with stable and sustainable business models that have long term growth visibility, some durable competitive advantage over competitors and last but not the least, good quality management. Over the years, we have endeavored to constantly refine and strengthen our research process. While the smallcap stocks are inherently riskier than blue chip stocks, we have created our own screeners and filters that help us eliminate highly risky smallcap stocks. Our mantra is to find and recommend profitable long term opportunities in the smallcap space without taking undue risks. The Hidden Treasure team travels the length and breadth of the country to personally meet the managements of dozens of companies every year. This is then followed by a diligent study of the company's future growth prospects, profit margins, return on capital and valuations. Only the stocks that turn out to be the best - both from business and valuations perspective - are recommended to the subscribers. Further, our proprietary tool -The Equitymaster Risk Matrix (ERMTM) is used for an objective and thorough risk analysis of the smallcap companies. What does Hidden Treasure offer? Through Hidden Treasure, we aim to offer an exclusive one-stop research service dedicated to researching and providing independent and unbiased views on high potential smallcap stocks. The third part is the list of stocks which we believe are most attractive from both a valuation as well as the risk perspective. So annually, our subscribers are entitled to receive at least 12 recommendation reports. In addition to these features, we provide quarterly result updates of smallcap stocks under coverage as well as special reports based on specific events that may have a material impact on the company's fundamentals. In short, the Hidden Treasure service aims to uncover high potential smallcap stocks and to provide our subscribers with regular views and updates throughout the recommendation period. Please do have a look at a sample report for Hidden Treasure. Hidden Treasure is a generalized recommendation service. We do not offer customized opinion for any particular subscriber or class of subscribers. We are not qualified financial advisor nor Investment Adviser and we strongly recommend our subscribers to seek professional advice before taking any decisions for their investments. Who is the editor of Hidden Treasure? Richa Agarwal, Editor of Hidden Treasure, has a decade of experience as an equity research analyst. She routinely scours the small cap universe for fundamentally strong companies trading at attractive prices. 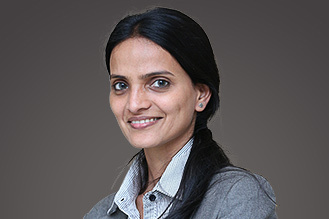 Richa's favourite investment strategy is 'boots on the ground' research. While most stock analysts do all their research from a stuffy office, Richa travels hundreds of thousands of kilometres in search of new investment ideas for Equitymaster subscribers. Having degrees in both finance as well as engineering has served her well in analysing business models across the small cap space. Richa is also editor of the extremely exclusive service, Phase One Alert. What is the stock selection process? Richa and her team travel the length and breadth of the country to personally meet the managements of dozens of companies every year. And this is after poring over the details of hundreds of small companies. The team constantly scours the small cap universe for fundamentally strong companies trading at attractive prices. What the team looks for are companies with stable and sustainable business models that have long term growth visibility, some durable competitive advantage over competitors, good quality management and last but not the least, attractive valuations. What can be the expected returns and how will the performance of Hidden Treasure be measured? The Hidden Treasure services aims to recommend smallcap companies that have wealth creation potential. The aim is to select stocks that could deliver compounded annual returns of at least 15% to 20% over a period of three to five years. In fact, there have been plenty of cases of stocks generating returns (in percentage) in 3 digits, and even upto 4 digits in some cases. While we can not guarantee such returns, we strive to put in our best efforts to be able to continue such performance. Having said that, returns from stocks are subject to market risks, and since smallcap stocks are extremely vulnerable to market risks, there have been cases where the recommendations have incurred losses. What should be the tenure of investment? Keeping in sync with our investment philosophy, the investment horizon of our Hidden Treasure recommendations is about 3 to 5 years. Stock markets tend to be very volatile. And putting too much money in a single stock or sector can be very risky. Small cap stocks are inherently riskier compared to large blue-chip or mid cap stocks. On the brighter side, they present a huge growth potential. It is not unusual for a good small cap stock to turn a multibagger in a matter of months. But on the flipside, there is a high risk attached. In fact, we have seen small cap stocks plunging 80-90% when things turn sour. According to us, small cap stocks should comprise of not more than 10% of one's total equity portfolio. Further, we believe that a single small cap stock should not form more than 2-3% of the total portfolio.Please note that this allocation will vary from person to person. For something that works best for you, we recommend you talk to your investment advisor. I want to know more about Hidden Treasure. How should I proceed? How can I try Hidden Treasure? We are delighted to inform you that you can try Hidden Treasure completely free! There's a 30-day money back guarantee. So if it turns out that you don't like Hidden Treasure, we'll gladly give back every rupee you paid.